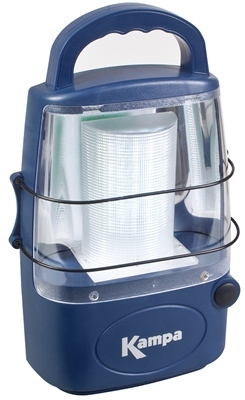 This lantern is ideal for us on a camping trip and equally as useful at home.Once charged it lasts for up to eight hours so no cables to worry about. Mains charger fitted with uk plug. Great light and just what I wanted. Holds its charge very well and a really bright ligh. Just what I wanted and really pleased with it!